The first food aid packages for needy Greeks were delivered last week by members of the Hellenic Relief Foundation, a Greek American non-profit organization. Board members Prokopis Zervas and Stelios Taketzis visited on Saturday the City of Athens Homeless Shelter and delivered 145 food bags containing Flower, Sugar, toast (Fryganies), olive oil, canned tomatoes, Canned milk, rice, spaghetti, lentil, beans, garbanzos, coffee/tea, toilet paper and detergent. The provisions can help a four-member family for about a month. 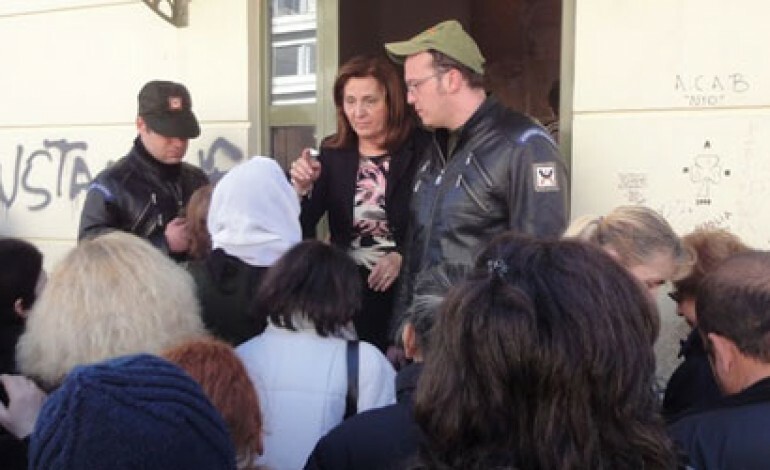 Yesterday the board members were expected to deliver 90 more food bags at Perama. “I am sad to report that the first phase of food delivery was completed successfully. I say sad because I cannot use the word happy. Coming face to face with destitute is highly emotional and taxing. On the other hand I am glad that through our collective efforts we were able to help a little so I guess the right verb should be satisfied”, Stelios Taketzis said in a short preliminary briefing to his fellow board members. People that received the aid were notified to be at the Center by 1 pm, but they started arriving at 10 am. City police was at the door to make sure there was order. More graphic and emotional is his description of the aid recipients reactions. “I m glad we use a system of verification which is important for our accountability but for me the strongest verification was the eyes of these people who grabbed the bag and left in a hurry trying to find a balance between their need and their dignity. 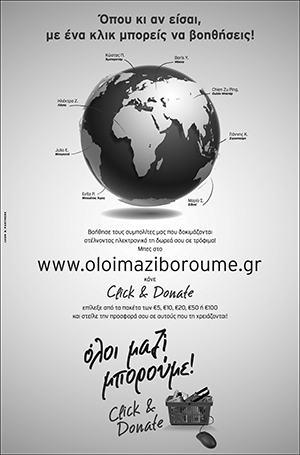 You may also send your checks to the Hellenic Relief Foundation – PO Box 735 – Mineola, NY 11501. The Pan-Cretan Association of America made last week an appeal to all its member associations and all Cretans in America to provide financial aid to Cretans in Greece. In a public plea for help, the President of the Pancretan Association of America (PAA), Giannis Manos, announced the formation of a special Charity Committee. The funds raised will be sent to the Archbishop of Crete, Irinaios, to be distributed to homeless Cretans and families in need. A part of the funds will be given to Volunteering Doctors in Crete. The goal is to send the raised funds by the end of February and in April. 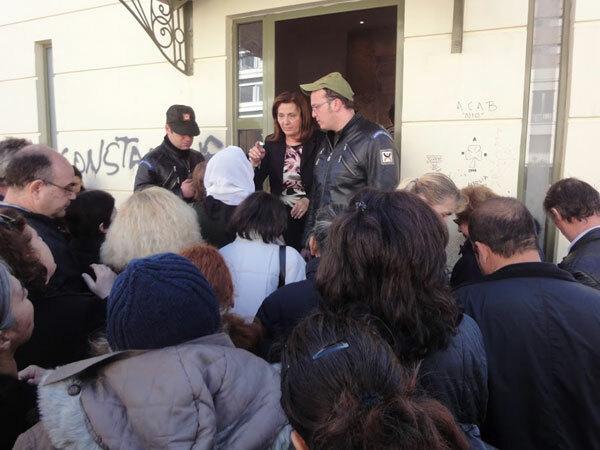 International Orthodox Christian Charities’ (IOCC) executive director, Constantine Triantafilou, was in Athens last weekend for meetings with relief partners. He is returning today to the U.S.
Greek Orthodox Archdiocese has launched its biggest fundraising effort of the last 35 years using besides direct donations, social media and sms. Although there is not an official progress report, based on some large donations offered to the Archbishop the amount of the donations is close to a million dollars. Archbishop Demetrios is also considering other ways to help Greek people, by mobilizing business and civic leaders of the community. “Greece is Changing” is an one-off public service initiative funded by a group of leading Greek business people. Their aim is to ensure that the sacrifices made by every Greek under the toughest austerity package in modern history do not go in vain. “Greece has committed to the toughest austerity program in modern history. Hefty tax hikes, pension and wage cuts have reduced the primary budget deficit from €24.7 billion to €5.2 billion in just two years… but with a dramatic impact on the life of every Greek.